Comfort Face Mask we make is the result of innovation, rigorous standards and high quality ingredients, and that has helped us become one of the most trusted brands across the country. The perfect combination of protection and style. 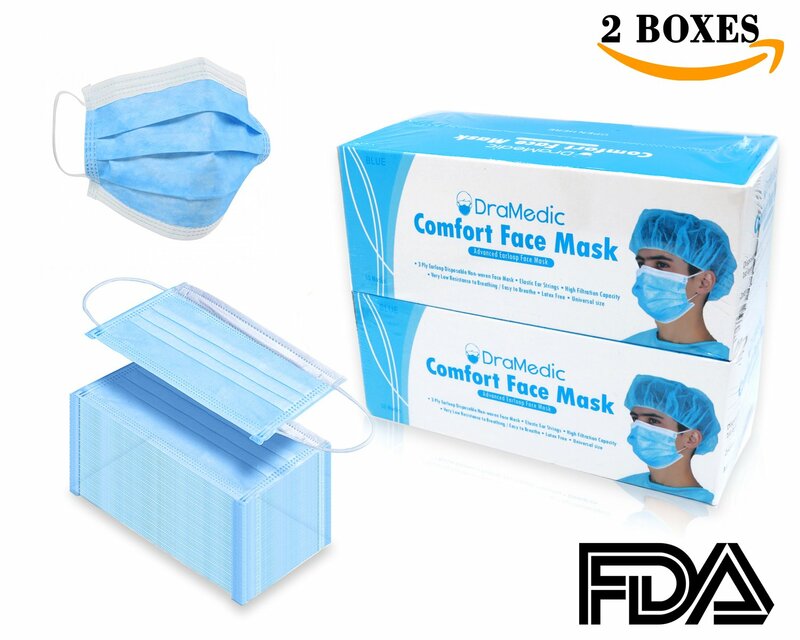 Comfort face mask offer a high filtration rate and protection from airborne particles at an average of 99% efficiency. 3-ply construction to help filter up to 99% bacteria exhaled by the wearer. Designed for general purpose infection control, and helps prevent the spread of airborne illness. Protect against dust and some other allergens when you are busy in construction, painting or gardening. Ideal for protection against influenza virus and a number of other airborne particles. The quality and design will ensure that you can comfortably wear for a long time and keep yourself shielded from most bacteria. Easy to take on and off, making it ideal for home healthcare use. Outer facing offers a soft, fluid protection barrier while the cellulose inner facing assures comfort and breathability. Provides their customers with a healthy and effective way to improve the quality of their daily lives. Aids are latex-free and non-allergenic. Directions Place mask over nose and mouth, blue side out, and place an earloop around each ear. Pull bottom of mask under chin and mold the nosepiece around the nose. The mask should cover face from the nose to underneath the chin. Discard mask after use, do not reuse masks. ★COMFORTABLE★ Very low resistance to breathing, soft, odorless, does not irritate the skin. Giving users cooler, more comfortable performance than other designs currently on the market. ★HIGH FILTRATION CAPACITY★ Three-layers pleated design, which makes it thick enough to protect from dust, bacteria, smoke and pollen, pollution. ★PERFECT FITTING★ Designed universal size tie to cover all your nose and mouth. The full-length aluminum nosepiece helps provide a perfect fit every time. ★WARRANTY★ Love them or we’ll buy them back from you, no questions asked!